My music collection is one of the places that I turn when I need my mood lifted. When the world is moving too fast, I turn here to help me slow it down. There are lots more... but these are tried and true. I'm sure I'll still be listening to them 30 years from now. What helps you tune out the world long enough to catch your breath? "Fat Bottomed Girls," "Bicycle," and "Under Pressure" by Queen. I'm an old school kinda gal. I love Our Endless Numbered Days. downbeat, Under Pressure is a great one. 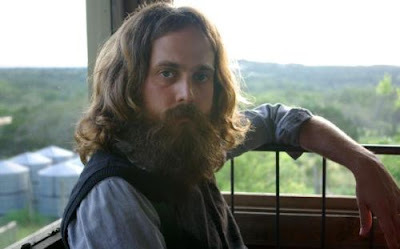 Jamie, I cried when I saw Iron and Wine live. Biscuit, Listen to Tangled Up in Blue and Ballad of a Thin Man.